CECP will provide any necessary textbooks to students taking courses on the CECP campus. Students are responsible for the book(s) that have been issued to them. If you fail to return a textbook by the end of the semester, or if you damage or write in a book so that it cannot be re-issued, you will be responsible for reimbursing CECP at the current publisher’s cost of the book. A “hold” will be placed on your CECP student account, and no student records will be released until the book is either returned or payment is received in compensation. CECP requires that you must attempt to rent your textbooks first. If a textbook is not available for rent, you must receive authorization from Dorothy Smith to purchase it, or it will not be reimbursable. Please email Ms. Smith at dorothysmith@coloradoearlycolleges.org for approval to purchase textbook(s). Textbooks purchased at the college bookstore (ACC, CCA, RRCC, PPCC, FRCC, Metro State, UCD) must also have the approval of Ms. Smith. If you purchase a textbook from a college/university bookstore during the 14 days prior to the course start date, yet you could have rented (because you were registered for the course(s) before this two-week period), CECP WILL ONLY REIMBURSE 50% of the purchase price minus sales tax. To determine the required books for a class, look in your class syllabus, go to your college bookstore website or click the links below. Enter your term, the department, and the course into the text fields. Note the 13-digit ISBN# along with the title, author, and edition. Required books AND optional/recommended books will be shown. CECP will ONLY reimburse you for REQUIRED textbooks. Your respective community college website will also have rental options. If you rent from one of these sites, you are expected to follow their terms and conditions. CECP will assume no responsibility, financial or otherwise, for books that have been damaged or returned after the due date specified in your rental agreement. Please use your best judgment when renting from these sites and order from the least expensive site. Make sure to select a rental period long enough so that the book will not be due back until AFTER the course ends. If you are unable to find your textbook from one of the above sites, you may seek out other websites or methods to obtain your book. RENTED TEXTBOOKS MUST BE RETURNED TO THE SITE FROM WHICH THEY WERE RENTED—NOT THE CECP CAMPUS. 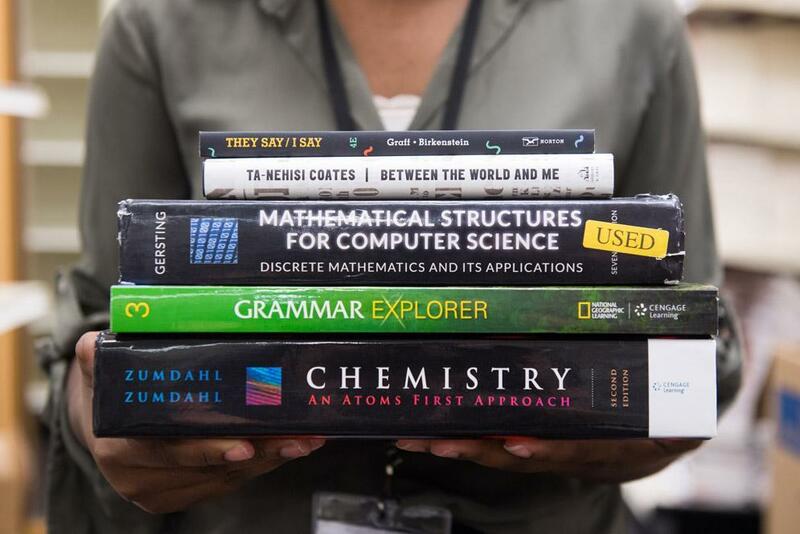 CECP will only reimburse for required textbooks, consumables and access codes for a class. Students will need to purchase recommended/optional materials, for example lab coats or art supplies, at their own expense. If CECP reimburses the cost of a book, whether new or used, that book becomes the property of CECP. It must be returned to the Highlands Ranch Satellite Office during the reimbursement window in December and May. Exact dates will be announced in the weekly newsletter. If you plan to keep a textbook, do not submit for reimbursement. Textbooks will not be reimbursed for failed courses. Reimbursements will not be given if there is a balance on the student account. The reimbursement window will be in December for the fall semester and May for the spring semester. Exact dates will be announced in the weekly newsletter. You may be reimbursed for rentals, access codes, consumables (workbooks or lab manuals), and pre-approved purchased textbooks. Rented textbooks should be returned to the vendor from which they were rented. Once the Business Manager has received all the above items, you will receive a mailed reimbursement check up to the amount left in your CEC tuition voucher with a maximum reimbursement of $500.00. Requests for reimbursement made after the determined deadlines for fall and spring will not be approved.